SHOP. We proudly showcase authentic Hermes, Louis Vuitton, Chanel, Prada, Celine, Balenciaga, Givenchy and all authentic Luxury Items, offering you the safest most pleasant experience to purchase luxury goods online. SELL. 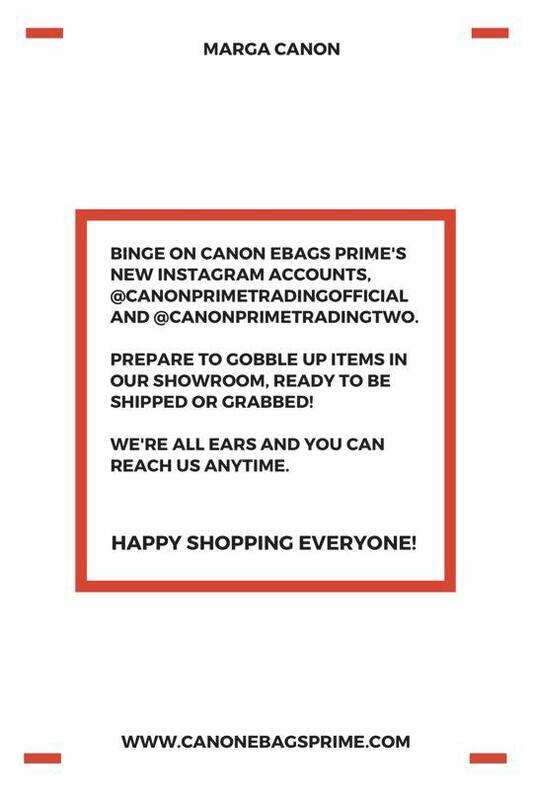 Using our website www.canonebagsprime.com and social media accounts @canonebagsprimeofficial on Instagram and Canon e-Bags Prime Trading on Facebook, we are able to sell your luxury goods at a higher tier. Our Sales Service delivers the highest payout to you with your complete discretion and confidentiality at the forefront. 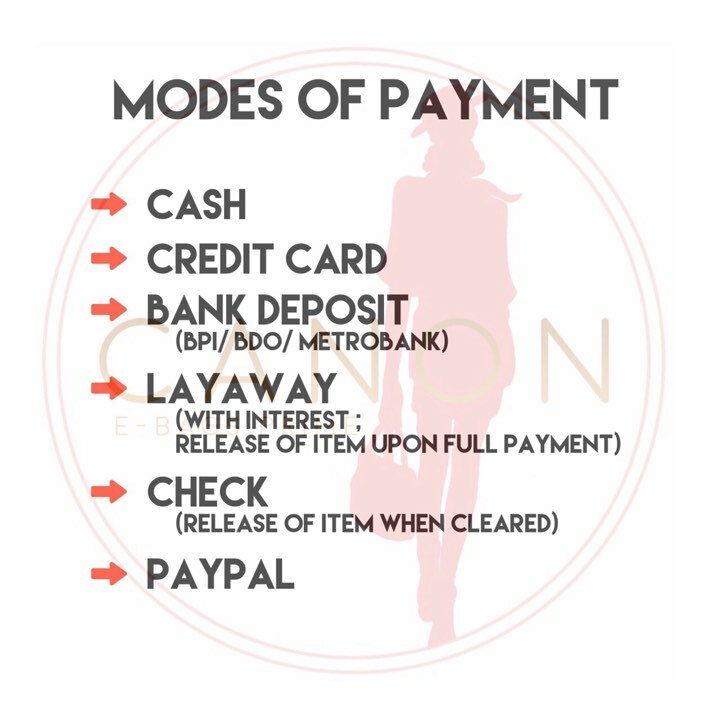 For inquiries and appointments, contact us at 09175191310.